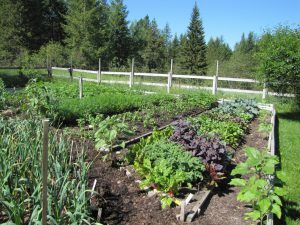 The New Agrarian School is located on ten acres in the beautiful Flathead Valley of northwest Montana. At the foot of the Swan Range, the school is minutes away from Flathead Lake and the small town of Bigfork. 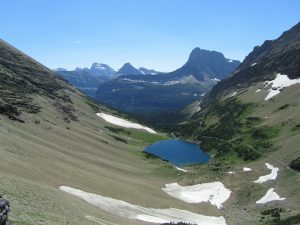 Glacier National Park, the Bob Marshall Wilderness Area, and many other spectacular recreational opportunities are within an hour’s drive. The nearby mountains offer hundreds of miles of trails, and access to world class fishing. Bigfork is home to the Bigfork Summer Playhouse, a well known repertory theater, with plays performed throughout the summer. The area is known for its many summer music festivals, from blues to classical, including the Crown of the Continent Guitar Festival in late August. Swimming and boating access to Flathead Lake, Swan River, and the Flathead River is only ten minutes away. The school facility evolved from the studio of Jeffrey Funk, who has been smithing here for more than forty years. The shop builds on Jeffrey’s experience and the well equipped facility he has put together over his career. All of the forges are modern propane units, and power hammers range in size from thirty pounds to five hundred pounds. There is overhead crane capacity to ten tons, and good small scale heat treating equipment. The school has a large inventory of alloy and tool steels, as well as wrought iron of various types. There are several blacksmiths of note in the area, and some classes will incorporate studio tours. There are many off campus dining opportunities nearby, including the Echo Lake Café just down the road. Bicycles are available for those who want to pedal to breakfast or lunch. The school property includes an extensive vegetable and flower garden, along with a small orchard. Some classes will relate directly to the garden and nearby forest.